Welcome to the Institute for Software Integrated Systems, a research organization of the School of Engineering at Vanderbilt University. ISIS conducts basic and applied research in the area of systems and information science and engineering. 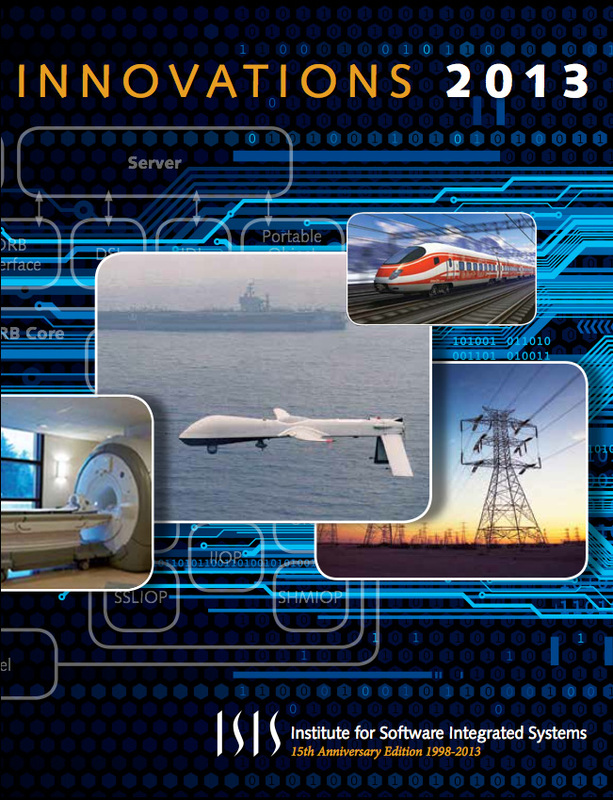 Applications of ISIS technology span a wide range of software-intensive systems from small embedded devices, through real-time distributed systems, to globally deployed complex systems. Software is increasingly essential to the functions of these systems, and it is also the primary means of adapting them to their environments and users. 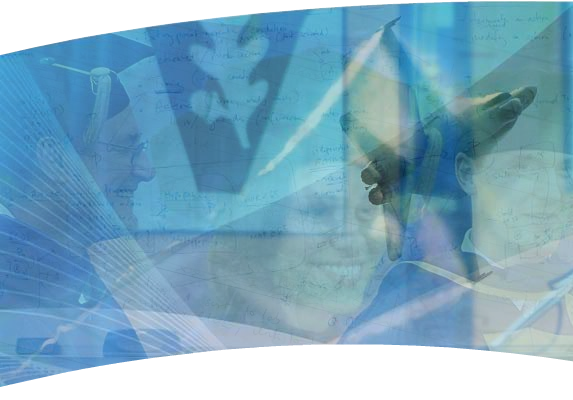 Our research interests lie in the theoretical foundations, modeling, design, engineering, and educational aspects of these systems. The Linux Foundation today announces the formation of LF Energy with support from RTE, Europe’s biggest transmission power systems provider, and other organizations, to speed technological innovation and transform the energy mix across the world. 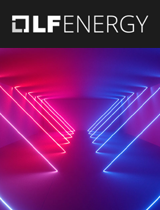 LF Energy is an umbrella organization that will support and sustain multi-vendor collaboration and open source progress in the energy and electricity sectors to accelerate information and communication technologies (ICT) critical to balanced energy use and economic value. RTE contributed three projects to The Linux Foundation to form LF Energy, and Vanderbilt University will transition its Resilient Information Architecture Platform for Smart Grid (RIAPS) applications technology. These projects will help seed an open source ecosystem for TSOs, distribution system operators, aggregators, utilities, vendors, and other energy sector stakeholders. The National Security Agency is giving Vanderbilt University team and their collaborators five years and several million dollars to figure out how to make that happen. They’re getting what’s called a Science of Security Lablet—mini-labs aimed at increasing knowledge and collaboration in the field. Xenofon Koutsoukos, professor of computer science, computer engineering and electrical engineering, is heading up the new NSA Lablet. 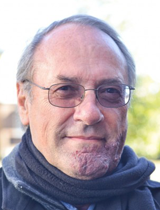 Most of the Vanderbilt team is affiliated with the Institute for Software Integrated Systems, whose founding director, Janos Sztipanovits, the E. Bronson Ingram Distinguished Professor of Engineering, is a renowned researcher in the field of cyber-physical systems. He and six other Vanderbilt School of Engineering professors are on the grant, along with Jennifer Trueblood, assistant professor of psychology. The Lablet results will be shared on the Science of Security Virtual Organization’s website. 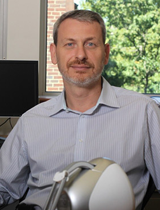 “The fusion between people, computing and the physical environment is becoming so deep that it is getting harder and harder to tell them apart,” said Janos Sztipanovits, E. Bronson Ingram Distinguished Professor of Engineering and principal investigator on the “Science of Design for Societal-Scale Cyber-Physical Systems” project. The project, co-led by Shankar Sastry at the University of California, Berkeley, Alexander Pretschner at the Technical University of Munich and Werner Damm at the University of Oldenburg, has just received a $4 million, five-year grant from the National Science Foundation. The potential economic rewards are enormous. According to a 2015 study by the McKinsey Global Institute, the ongoing digitization of industry could add as much as $1.5 trillion to the U.S. Gross Domestic Product and €1 trillion to the GDP of Europe. 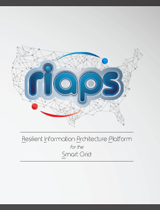 Several distributed power 'apps' were demonstrated March 13-15, 2018 at the ARPA-E Energy Innovation Summit in Washington, DC to showcase the Resilient Information Architecture Platform for the Smart Grid (RIAPS) - a research project supported by ARPA-E. The project is led by Professor Gabor Karsai, Institute for Software-Integrated Systems at Vanderbilt University, and is supported by North Carolina State University (NCSU) and Washington State University (WSU) as subcontractors. Two distributed Remedial Action Scheme (RAS) apps will be shown by WSU that ensure grid stability and resilience: one dynamically curtails a wind farm electric power output to eliminate power line overloads, while the other calculates load shedding options to prevent system collapse when the grid frequency drops. NCSU will demonstrate a microgrid control application that provides optimal and stable control during system transients, when the microgrid is being disconnected from the main grid. The microgrid app will be combined with a transactive energy app developed at Vanderbilt University with additional support from Siemens. RIAPS is the underlying enabling technology for all these apps, not unlike Android that enables a wide variety of apps for smart devices. A new exploratory data mining technique for identifying important student learning behaviors and strategies is grabbing entrepreneurial interest and kudos from the international community. John Kinnebrew, a research associate at Vanderbilt’s Institute for Software Integrated Systems, and Professor Gautam Biswas in the Electrical Engineering and Computer Science Department, received the “Best Paper Award” at the recent International Conference on Educational Data Mining (EDM 2012) in Chania, Greece. Douglas C. Schmidt, professor of computer science and associate chair of the Computer Science and Engineering Program, will teach “Pattern-Oriented Software Architectures for Concurrent and Networked Software” in spring 2013 via the digital learning consortium Coursera. The Vanderbilt Institute for Software Integrated Systems has been awarded a $17.2 million contract from the Defense Advanced Research Projects Agency (DARPA) to accelerate the Android Mobile Middleware Objects (AMMO2) project. The contract was announced Sept. 19. Sandeep Neema, research associate professor of electrical engineering, is the principal investigator. A novel approach to improve location information to centimeter scale accuracy using the global positioning system has earned a Google Research Award for an engineering professor and his team. The approach being developed by computer engineering associate professor Akos Ledeczi, graduate student Will Hedgecock, research scientist Peter Volgyesi, and visiting scholar, professor Miklos Maroti, uses GPS to derive relative location information for multiple receivers. Janos Sztipanovits selected as a 2012 W.M. Keck Institute for Space Studies Distinguished Visiting Scholar at Caltech. Janos Sztipanovits was selected as a 2012 W.M. Keck Institute for Space Studies Distinguished Visiting Scholar (DVS) at Caltech in association with the study on "Engineering Resilient Space Systems: Leveraging Novel System Engineering Techniques and Software Architectures." Jim Cooper, U.S. Congressman for Tennessee’s 5th District will be visiting ISIS on Monday, April 2, 2012. Jim Cooper, U. S. Congressman for Tennessee's 5th District will be visiting ISIS on Monday, April 2, 2012. Congressman Cooper serves on the Committee on Armed Services and the Tactical Air and Land Forces Subcommittee. IDEAS: Time to step-up local university-industry collaboration in Information Technologies, an article recently published in Venture Nashville Connections by Doug Schmidt, discusses the IT industry and the difficulty in finding, training, and retaining talented IT professionals in this region. But, there are some opportunities to find local talent when collaborating with universities and industry leaders. Dr. According to Popular Mechanics, DARPA, the defense research group, wants better vehicles. They want them faster and cheaper. In order to accomplish this feat, they are looking to computer circuit builders.